Better Beef: You get to eat better beef – feed your family beef you can trust! No hormones, no antibiotics and our animals are always on pasture. We Deliver! : We either deliver right to your door or we will invite you to one of our “beef delivery parties” in your neighborhood. 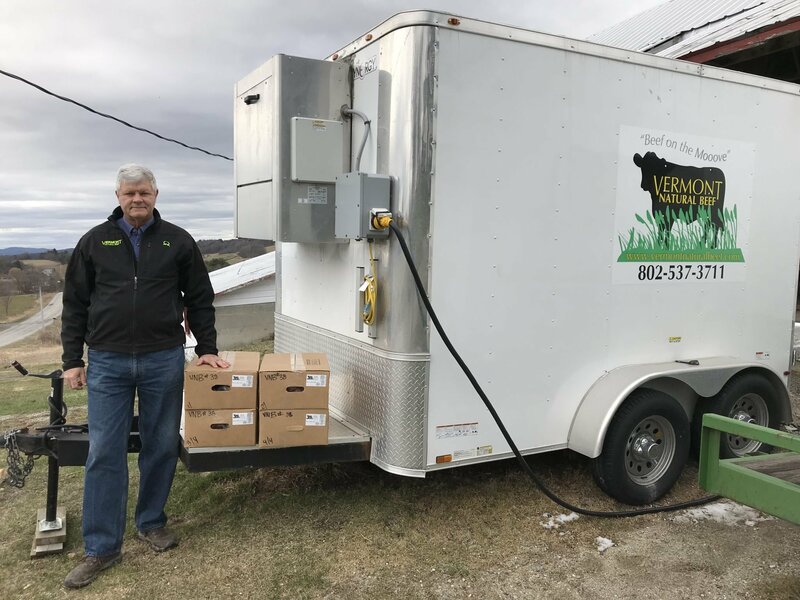 We are carbon footprint conscious about all we do, and delivering beef in bulk is very efficient (as opposed to lots of small package deliveries) and if we arrange 15 families to all meet us at one of our beef delivery parties, we are most efficient from all standpoints. Either way, we enjoy meeting our customers face to face and if you read our reviews, we think like our present customers, you too will find the whole buying experience pleasant, personalized and professional. Save Money: You save a LOT of money. Our pricing includes butchering and delivery. 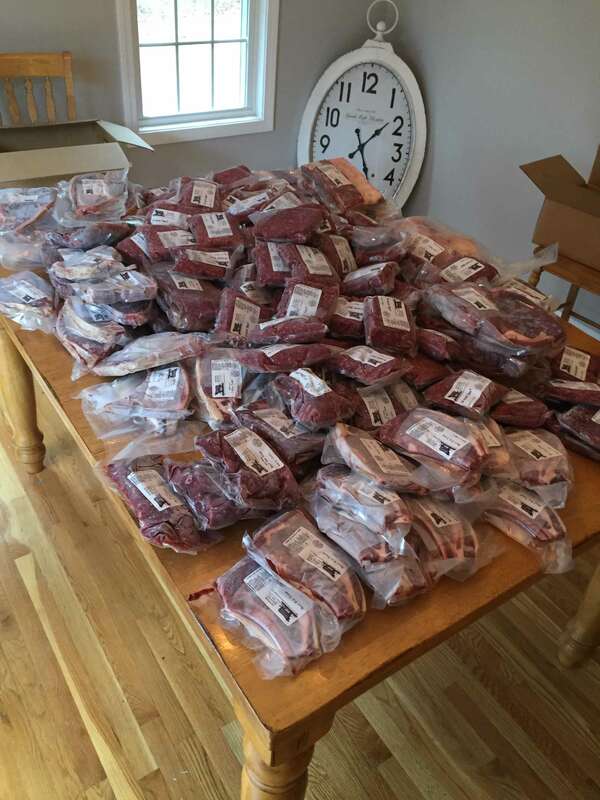 Last year we itemized one of our sides of beef and compared what it would cost to purchase elsewhere. 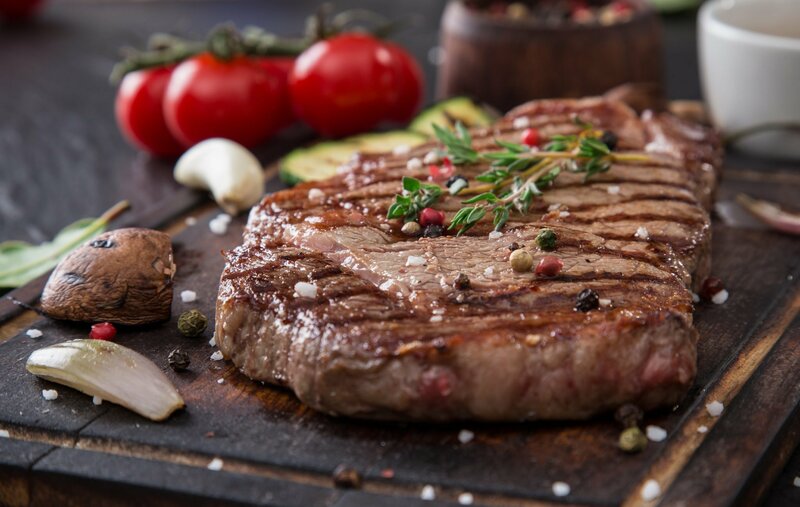 Even if the same quality meat were available elsewhere (it’s not) the cost at premium markets or from small package delivery companies is typically twice what we charge per pound net to you. Custom Beef: We custom cut your side of beef for you! You get the kind of steaks, roasts and beef cuts you prefer. Everything comes neatly boxed, vacuum packaged and individually labeled. You will know exactly what you’re getting when you order and when you go into your freezer. We don’t do “mystery beef”! When you pick up a T-Bone or Porterhouse steak from your freezer, that is what the label will say. No Factory Processing: Your ground beef comes only from your side of beef, not from 15-100 animals all mixed together. Read our article on “The Mix” for more information. Convenience and strategic advantage: Walk to your freezer and you can pick out what you want for dinner. You save fuel and trips to the store. Additionally, in times of crisis, you have food on hand. Know your farmer, know your food: We invite everyone to come visit. If you don’t actually know how your food is grown, there’s a good chance you are not buying what you think you’re buying!